The primary expense in copper plating has come from its need for organic additives. 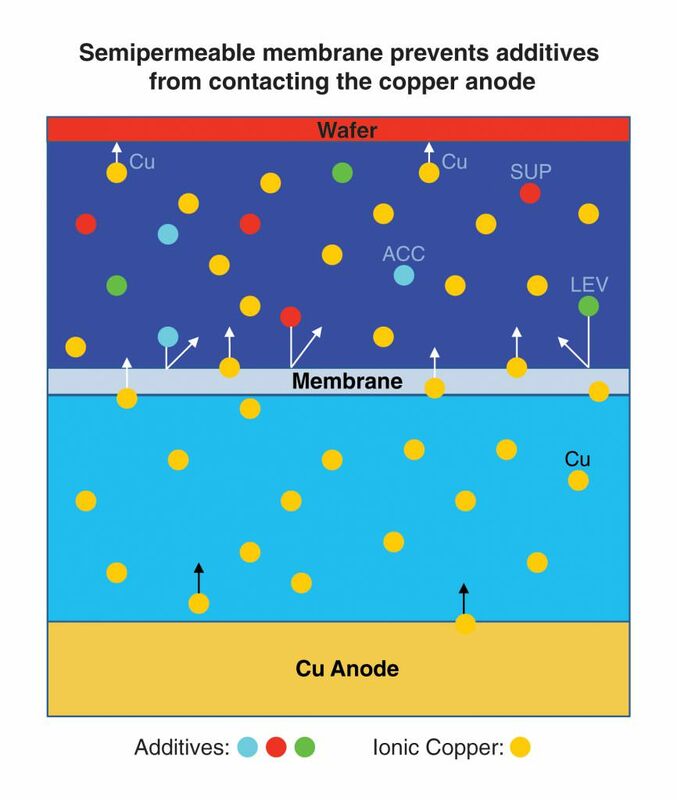 To achieve high-quality copper plating, special additives — including suppressors, accelerators and levelers — must be added to the basic copper electrolyte. And up until now, the additives had to be replaced very frequently. The problem was not just that the additives became depleted but that they broke down and left byproducts to poison the plating bath and shorten its life. This degraded the plating process and significantly lowered plating quality and rate. Phosphorus was typically added to the copper anode to try to stabilize the organic byproducts and mitigate their negative effects, but this was not an effective solution. The high rates of additive consumption and byproduct generation still remained very significant problems. And more frequent additive replacement was not a viable solution, because copper bath additives are very expensive, typically costing more than $400 per liter. So ClassOne wanted to find a way to maintain copper plating rates and quality while reducing additive usage and mitigating the byproducts problem — in order to bring down the overall CoO. The solution ClassOne developed was a new copper plating chamber design, employing a semipermeable cation-exchange membrane to divide the copper bath into two sections. The upper section contains all of the additives, and it actively plates the wafer. 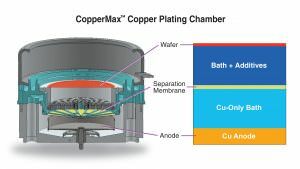 The lower section of the bath contains the anode that supplies elemental copper -- which is able to travel through the membrane and into the upper section to ultimately plate the wafer. However, the membrane prevents additives from traveling down to the anode, thus preventing them from breaking down and forming the process-damaging waste products. And the CopperMax membrane has a virtually infinite lifetime. Semipermeable membranes have been used for years in various industrial processes. However, in semiconductor plating the technology has only been available on very expensive systems designed for 300mm and larger wafers. 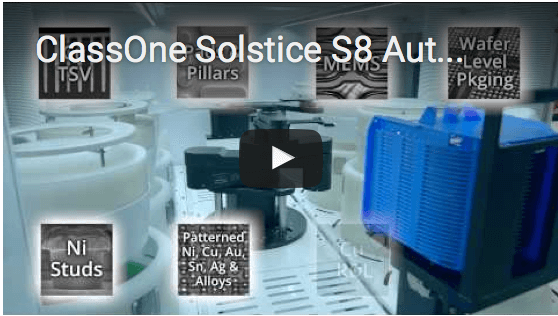 ClassOne is the first equipment manufacturer to make it available for users of 200mm and smaller wafers. With this new configuration the CopperMax chamber is able to keep plating baths much cleaner and freer from additive-breakdown contaminants. This improves plating performance and extends bath life by 20X or more, to increase uptime and dramatically reduce cost of operation. CopperMax chamber is able reduce additive consumption by 95 to 98%, which reduces the user’s cost of operation to a small fraction. 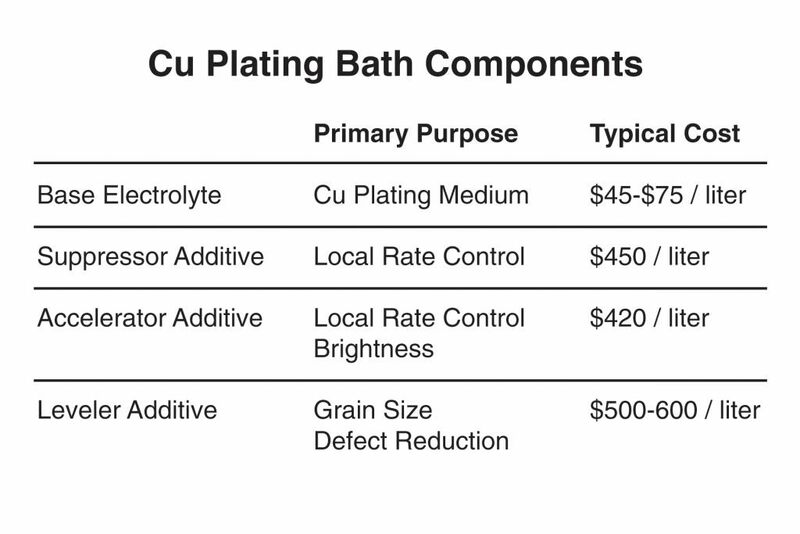 For example, on a single Solstice plating system with six copper chambers running TSV and high-rate copper processes the additive costs can be reduced by over $300,000 a year! And there are further copper plating savings to be had. In addition to reducing additive costs the new chamber also reduces anode costs: The design of the CopperMax chamber enables the use of much less expensive bulk anode copper pellets instead of the usual solid machined copper anodes. This reduces anode costs by over 50%. 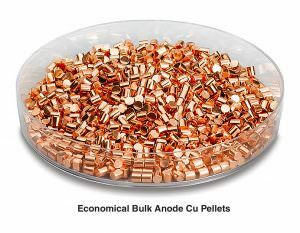 And because the copper pellets provide 10 times the surface area of solid anodes, they boost the allowable plating rates for the chamber significantly. The CopperMax chamber's ability to cut plating costs was clearly demonstrated in an initial installation of multiple units in the production facility of a Fortune 100 customer. 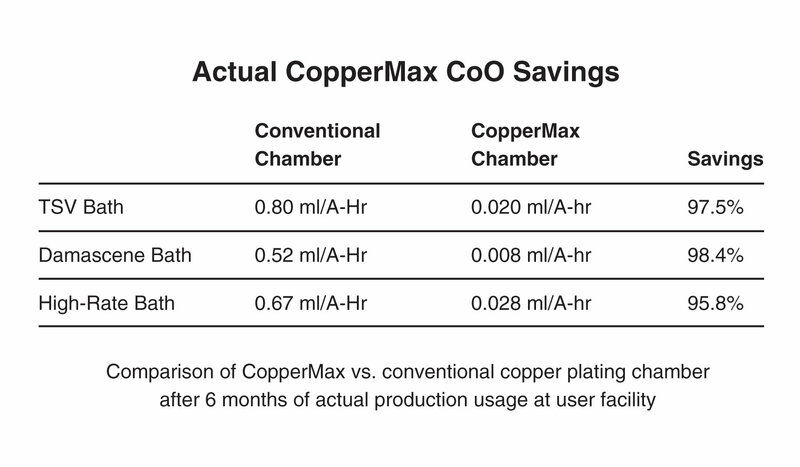 There, the user carefully tracked materials and costs for a full six-month period for comparison against the performance of previous copper chambers; and the results were remarkable — see the CopperMax CoO Copper Plated Savings comparison chart. The net result is that the innovative new CopperMax chamber design is able to deliver consistently higher-quality, higher-rate copper plating, while maximizing uptime, improving performance — and very dramatically reducing the user's bottom-line operating costs.